The term “dry eye” doesn’t sound that bad. After all, most of us have experienced it at one time or another… but it got better quickly; it was a non-issue. However, if you suffer from chronic dry eye, you know the truth. 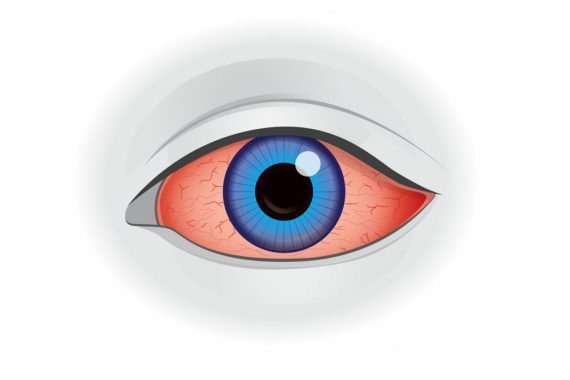 Your symptoms can range from an irritating, scratchy, stinging sensation to feeling like you have shards of glass digging into the soft tissue of your eyeballs. It can leave your eyes red and sensitive to even the softest light and cause nasty, stringy mucus to cake around your eyes. Not only is the condition a real problem, it can become so intense that it drives some sufferers to suicide! Ophthalmology practices have seen a huge increase of patients suffering from dry eye in the past decade — some even desperate enough to pay thousands for in-office treatments that provide temporary relief. And while the condition used to mainly affect elderly women, more and more people of all ages and genders now live with dry eye. Is it any wonder that sufferers are panicking because they literally can’t find relief? Many dry eye sufferers used to depend on over-the-counter products like Refresh PM to lubricate their eyes and alleviate their symptoms. But recently there has been a shortage leaving shelves bare and people with dry eye in pain. Although the companies that make the drugs, like Allergan, have said to expect the shortage to end late this summer, many expect it to continue until 2020 at least. As Rebecca Petris, a dry eye sufferer who has become a patient advocate said when speaking of the cause behind the shortage, “So it’s still a big mystery, and the impact has been enormous, because Refresh PM ointment has by far the largest market share. So when it started disappearing from stores, [there was a] domino effect through the industry, and then all of a sudden, we’ve got Systane is disappearing here and there, and then GenTeal and Soothe, the other brands. I believe or I imagine it’s just the absence of Refresh PM could have created such a run on them, because people have been stockpiling any ointment that they can get. And according to Petris, their help line is constantly fielding calls for dry eye patients who have relied on the ointments and are now in constant pain. Scientific studies have shown that you’re more likely to suffer from dry eyes if you’re deficient in the sunshine vitamin — vitamin D. So, to relieve you dry eyes, start by following the recommendations of the Vitamin D Council and take 5,000 IU/Day of vitamin D3. The omega-3s found in fish oil help fight inflammation which can irritate your eyes, support eye health and keep your eyes moist by encouraging natural tear formation. You can get more omega-3s in your diet by eating fatty fish like wild-caught salmon, sardines or mackerel or by adding chia seeds to your morning oatmeal or smoothie. I also recommend taking a quality omega-3 supplement to ensure your levels are optimal. Researchers at the University of Tokyo’s School of Medicine discovered that caffeine can stimulate tear production to soothe dry eyes. This means you can feel even better about your morning cup of coffee. Simply place a warm, wet cloth over your closed eyes for at least one minute and then gently press your fingertips along the edges of your eyelids to remove clogged oils. Dry air can make your eyes feel more irritated. Use a humidifier to add moisture to the air around you, especially in rooms where you spend large amounts of time. If you’re part of the dry eye epidemic and are ready for relief that doesn’t cost a fortune or rely on companies who can’t meet the demands, try the five natural remedies for dry eye relief above.